Firestone Park is located at the center of Columbiana and is the recreational cornerstone of the city. 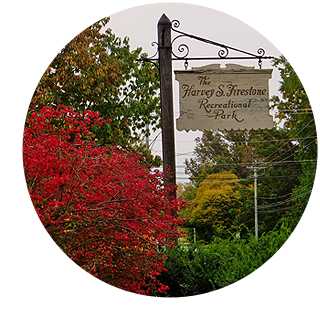 Established by the generous donation of land and funds by one of Columbiana’s favorite sons, Harvey S. Firestone, the beautiful 68-acre park has been maintained and has prospered through the tireless efforts of the community. The Columbiana Cemetery has also benefitted from lands and funds donated by Harvey S. Firestone, and is home to the Firestone Family Memorial. To report Park & Cemetery related issues please click here.